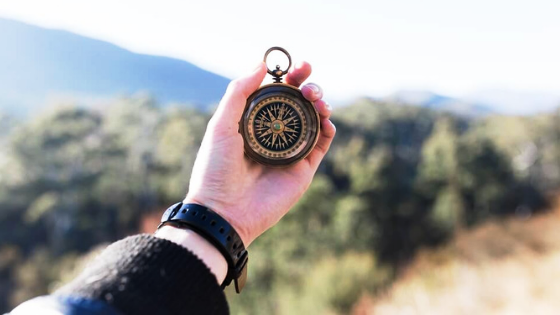 There is no question that God’s people need His guidance and we read over and over the subject of God’s guidance in the Old and New Testaments. But how do we receive God’s guidance and direction in our lives? In Proverbs 3:1-12, conditions are given for receiving God’s guidance. 1. We must learn God’s truth and keep them within our hearts (Proverbs 3:1-4). The will of God is revealed in the Word of God (Colossians 1:9-10), and the only way to know His will is to study His Word and obey it. By receiving the Word within our hearts, we experience growth in godly character so that loyalty and kindness become beautiful ornaments in our lives (Proverbs 1:9; 3:3). It is not enough for believers to carry the Bible in their hands; they must let the Holy Spirit write God’s Word on their hearts. 2. We must trust the Lord and obey Him (Proverbs 3:5-6). 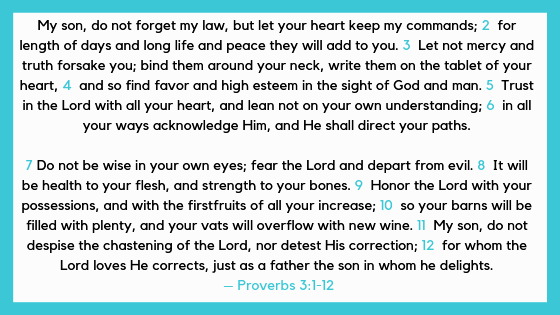 These are the key verses in this chapter, a promise God’s people have often claimed as they have sought the Lord’s guidance and direction for their lives. And this promise has never failed them – if they have obeyed God. God keeps His promises when we obey His precepts because our obedience prepares us to receive and enjoy what He has planned for us. To “not depend on our own understanding” does not suggest that God’s children turn off their brains and ignore their intelligence and common sense. It simply cautions us not to depend on our own wisdom and experience or the wisdom and experience of others. Abraham did this when he went to Egypt (see Genesis 12:10-20), and so did Joshua when he attacked the little town of Ai (See Joshua 7). When we become “impressed with our own wisdom” (Proverbs 3:7), then we’re heading for trouble. God has promised to guide and direct us on which path to take, but the fulfillment of that promise is predicated on our obedience to the Lord. We must trust Him with all our heart and obey Him in all our ways. That means total commitment to Him (Romans 12:1-2). The word translated “trust” in Proverbs 3:5 means “to lie helpless, facedown.” It pictures a servant waiting for his master’s command in readiness to obey, or a defeated soldier yielding himself to the conquering general. 3. We need to share God’s blessings (Proverbs 3:9-10). The division of “spiritual” and “material” does not apply to the followers of Christ, for everything comes from God and belongs to God. The Old Testament Jews brought the Lord the firstlings of their flocks and the first crops of their fields (Leviticus 23:9-14), and in this way acknowledged His goodness and sovereignty. The New Testament parallel is seen in Matthew 6:33. 4. We must submit to God’s correction (Proverbs 3:11-12). Discipline is a part of God’s plan to help His sons and daughters mature in godly character (Hebrews 12:1-11). God chastens us, not as a judge punishes a criminal, but as a parent disciplines a child. God acts in love, and His purpose is that we might “share in His holiness” (Hebrews 12:10). Sometimes God chastens us because we have rebelled and need to repent; other times He chastens us to keep up from sinning and to prepare us for His special blessing. No matter how much the experience hurts us, it will never harm us, because God always disciplines in love (Deuteronomy 8:2-5). The promise of God to guide and direct us will never fail if we obey the conditions God has laid down. God keeps His promises when we obey His precept because our obedience prepares us to receive and enjoy what He has planned for us.